Congratulations on owning a new puppy!!! 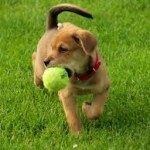 There are several very important measures you need to take to keep your new puppy happy and healthy. (1) Vaccination – The 1st is usually given at 6 to 8 weeks of age which is usually when the puppy is weaned. A 2nd vaccination is given at 8 to 10 weeks of age. A final vaccination is required at 12-14 weeks of age. Immunity should be sufficient 7 days after the final vaccination. We recommend that your pup does not come into contact with un-vaccinated dogs and avoid areas they have been in, until immunity is sufficient. Your dog will have annual health checks and booster vaccinations thereafter. (2) Intestinal worms – Puppies can be born with roundworms in their gut if they are infected via the mother before they are born. Regular worming is essential. 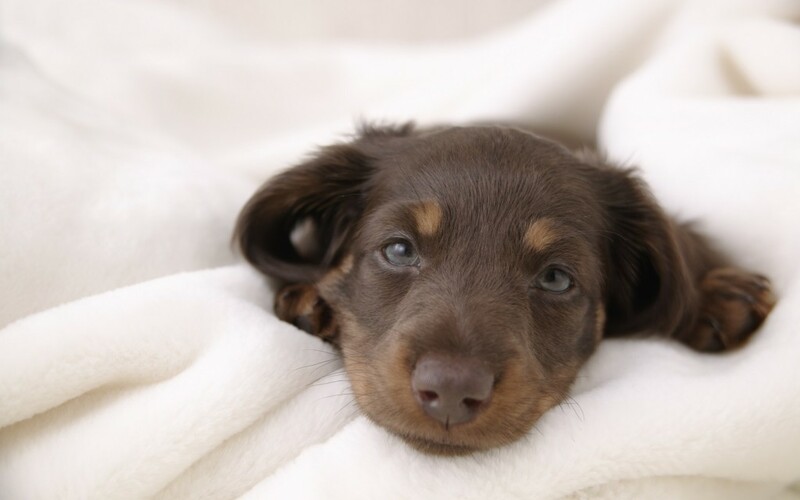 We recommend fortnightly worming from 2 weeks of age until the puppy is 3 months old, then monthly until 6 months of age, then every 3 months for life. This is especially important if there are small children in your family. (3) Heartworm – This worm is potentially fatal and can be found in the Kimberley. It is transmitted by mosquitoes and is prevalent in the northern parts of Australia and some southern areas including Perth. A yearly heartworm injection can be given from 3 months of age. Alternatively, monthly tablets/chews can be given. (4) Ticks – Although we are lucky enough not to have the dog paralysis tick in the Kimberly, there are numerous other species of ticks that can pose a problem for dog owners. While they are not toxic, large numbers can cause anaemia by ingesting blood from your dog. There are also a number of diseases that can be transmitted by ticks and because of this it is important to control them. Ticks can attach anywhere on the dog but the common places are around the feet, face, ears and scruff. There are many different tick preventions these include shampoos, rinses, sprays, tablets and spot applications. The more potent products are unsuitable for puppies under 7 weeks – it is important to read directions carefully. (5) Fleas – There are many products available for flea control and their suitability depends on your individual situation. This is affected by how often your dog is bathed or swims, its coat type, the number of dogs and cats in your household and how you prefer to apply the products. Please consult us for free advice on flea control. Many products are unsuitable for pups less than 12 weeks of age so please seek our advice on flea control in young puppies. 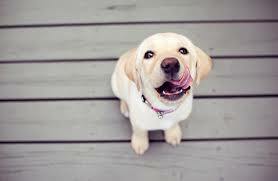 (6) Feeding – Your puppy will need 3 meals a day until they are 12 weeks of age. After this, 2 meals a day is adequate and after 6 months these can be combined to be fed as one meal daily if this suits your lifestyle. The most important aspect in a growing pup is that the diet is well balanced. The easiest way to do this is to use a reputable brand of a commercially prepared puppy food. As tempting as it is to add variety to your pup’s meals please be aware that although high in protein, red meat is particularly unbalanced with respect to calcium and phosphorus which are important minerals for healthy bones and teeth. It especially important for the large breeds to have a correct mineral balance as feeding can influence bone development and some bone diseases. Milk is not required and often causes diarrhoea in pups. If you do feed your pet milk, it is best to use a commercially prepared pet milk for puppies. 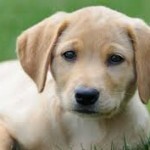 (7) House Training – Most puppies learn very quickly – patience and persistence are the best means of house training. We encourage the use of positive reinforcement with praise, treats and play. The best way to train, is to allow toilet breaks after playing, resting and eating by taking the puppy outside. You can sometimes anticipate urinating and defecating events before they happen by watching for signs of circling and sniffing on the floor. If you do catch your puppy toileting in the house, do not scold them, instead pick them up and take them outside. Wait patiently, without giving attention, for them to finish and praise accordingly. Remember puppies have a limited ability to hold their bladder so occasional accidents will happen. Try to anticipate urinating and defecating events. Put the puppy outside after meals, play periods and upon waking and you will vastly cut down on your cleaning up. (8) Microchipping is a permanent means of identification and is available at our hospital. It involves a simple sub-cutaneous injection via a needle. (9) Desexing – Both male and female dogs should be sterilised at 6 months of age unless you have serious intentions to breed from them.